LAUSANNE – The table has been set for the campaign to return baseball and softball to the Olympic Games. A historic milestone is expected to be reached in Tokyo this week when the International Baseball Federation (IBAF) convenes its congress in the Japanese capital. 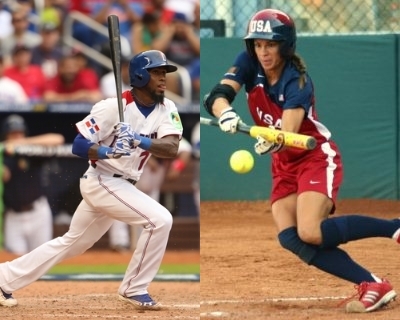 The Congress will see the constitutional birth of a new combined baseball and softball federation in a bid for Olympic reinstatement, and has the makings to be the most significant marker in international baseball and softball sporting history. With IBAF President and new World Baseball Softball Confederation (WBSC) Co-President Riccardo Fraccari presiding over the Congress—and ISF President and WBSC Co-President Don Porter leading a delegation of softball representatives—the Congress will act to ratify the new Constitution governing the World Baseball Softball Confederation (WBSC). This will finalize a long and detailed process to meet the stringent criteria of the International Olympic Committee (IOC) whereby the two independent and recognized international federations currently governing baseball and softball separately shall merge into a single international federation. The Tokyo Congress follows the recent successful World Baseball Classic (WBC) final in San Francisco, which broke all attendance, broadcast, viewing and commercial records for the event. The WBC was a showcase for the increasing popularity of the sport and significant efforts by baseball and softball officials and professional leagues to grow and globalize the game, especially for young people in parts of the world where there are limited options to play Olympic team sports. At the conclusion of the Congress, the World Baseball Softball Confederation is also planning to launch the next phase of its bid leading up to a presentation before the IOC Executive Board at the end of May. The WBSC will unveil a new campaign logo and theme—and web site—and launch an all-encompassing social media push to drive the millions players and supporters of all ages and backgrounds who love their sport and the Olympic Games to join the line up to get baseball and softball back in the Olympic Games.